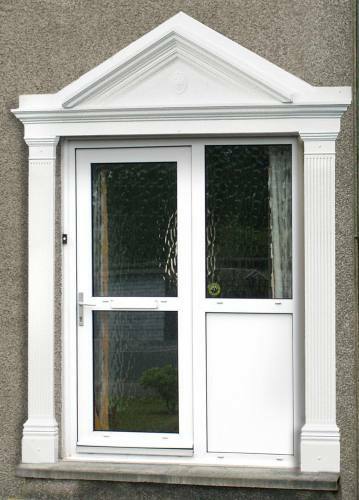 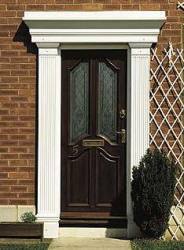 Beautifully moulded from rigid GRP, and incorporating a rose design centrepiece in the overdoor canopy, this maintenance free door surround will give years of service. 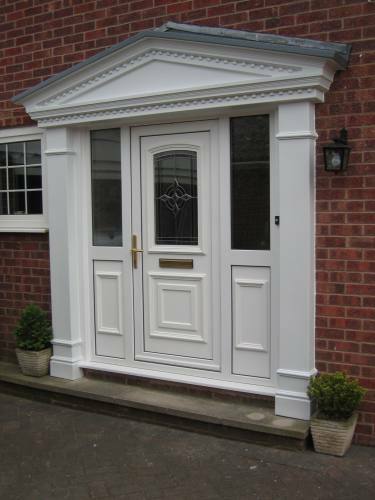 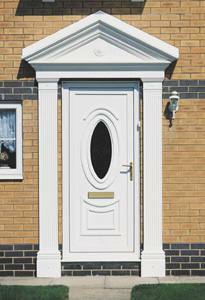 Fast, easy installation means that you can have an entranceway that stands out from the crowd. 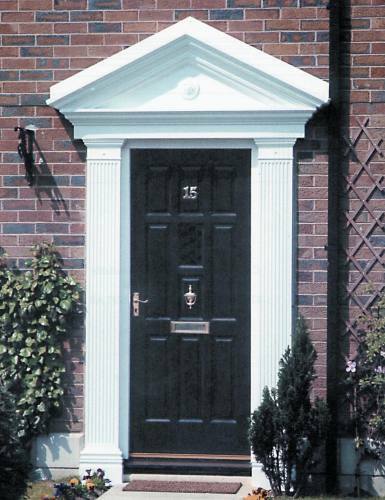 Matched with our standard pillars, available in 2100mm or 2300mm high, this surround will fit most door openings. 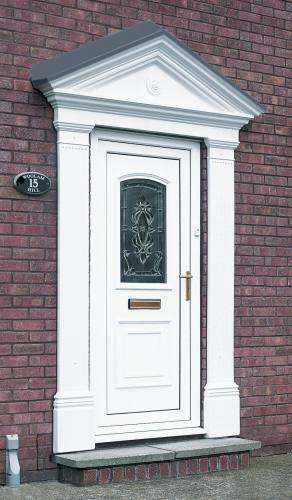 Optional lead effect top available, please inquire for details.